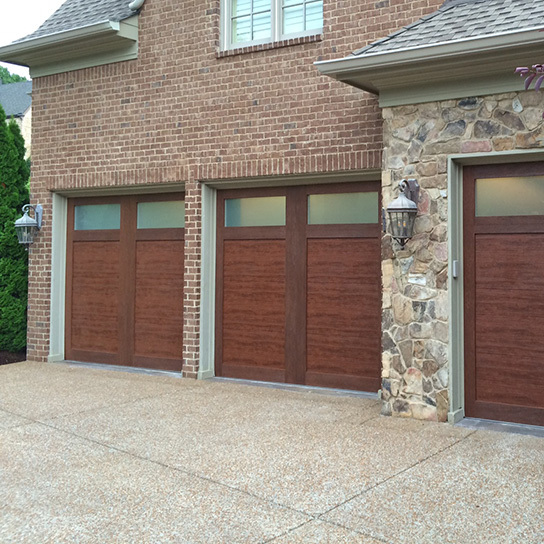 When you need garage doors in Franklin, Nashville, Gallatin, TN, or the surrounding areas, the company to turn to is EXL Garage Doors. Whether it’s for a new garage door installation, garage door replacement, garage door repair or garage door maintenance, EXL Garage Doors has the experienced and trained personnel you need to get the job done efficiently, affordably and fast. Who Is EXL Garage Doors? "Our service is very personal. We bring professionalism and a great deal of experience. There is no one in the area with the extent of experience and knowledge that I have. We strive to give people the best value and the most options. We always steer customers in the best direction and maximize what they get from us. We always treat customers as real people and as equals. We care that you close a project with us feeling completely satisfied, not only with the product, but also with the service, the knowledge and the value." We have a beautiful showroom where you can see samples of these gorgeous doors to help you make your decision. Naturally, we have friendly and knowledgeable staff members who look forward to answering any questions you may have. We can also tell you more about our other accessories, such as our modern and convenient state-of-the-art LiftMaster® garage door openers. If anything goes wrong with your garage door, you have nothing to worry about with EXL Garage Doors in your corner. We’ll send a highly-experienced garage door professional to your home fast to solve the problem. Our garage door repair experts have seen it all when it comes to garage door problems, from dented panels and broken springs to faulty garage door openers and more. We come prepared with the tools and parts to get your garage door back up and running ASAP. You can also call us for regular, affordable maintenance to extend the life of your door and prevent small problems from becoming big ones. If you’re interested in a new garage door or garage door repair in Tennessee from an experienced company that makes customer service a top priority, there really is no other choice. Contact EXL Garage Doors for an estimate or to schedule service today.